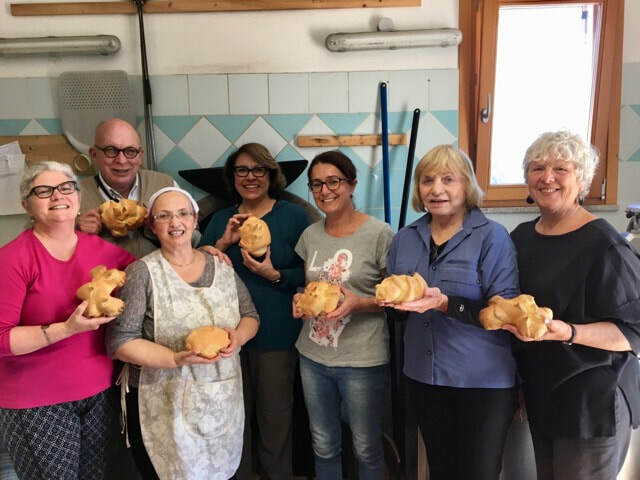 Inspiring culinary tours of life behind the scenes that you won't find in any guidebook — get to know the food artisans and crafts people of Tuscany, Sardinia and Emilia-Romagna. Tap into the full depth of Erica's insights and experience. Her lively curiosity has unearthed the electronically invisible heroes of food and drink. With her as your guide, you experience the thrill of discovery without the risk of missing the rough diamonds you might mistake for coal. 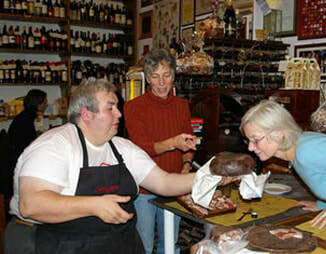 If you've come to Italy for the gastronomic treat of a lifetime, you deserve a guide whose local knowledge and enthusiasm can make every minute of your trip more enjoyable and valuable. Reserve your place now and unwind in the gentle pace of this unmodern world when you join Erica and her Italian friends and dip into a lifestyle where lunch is more important than business. New mini-courses 2018: Olive Oil Immersion (October to December), Extreme Truffle Hunt (September to March). Email us now to express your interest.